NewLook is the leading manufacturer of premium architectural and specialty concrete coatings. Our concrete stains and specialty coatings have been proven since 1989 by industry professionals to restore, improve durability and enhance the image of concrete. NewLook was founded on the belief that decorative concrete should be convenient and affordable. Need a concrete floor stain, sealer, or polished concrete floor? Whether you are specifying or installing decorative concrete NewLook has a high-quality solution for you! NewLook’s admixtures not only color concrete but also reduces efflorescence, densifies & stabilizes concrete. NewLook’s integral cement color can be added to create colored concrete and for tinting a wide range of materials and mixtures. 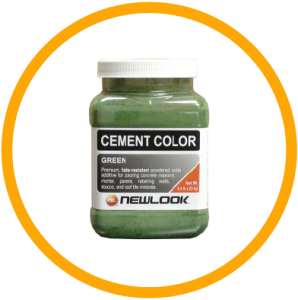 While typically known for color, NewLook also creates products such as Efflock to densify concrete while reducing efflorescence in the concrete. To get started on a new project, the concrete must be cleaned & prepped. 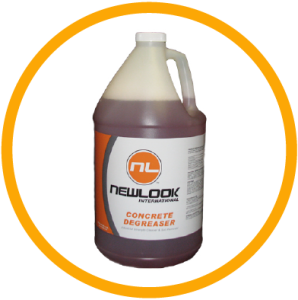 NewLook offers a number of products that help clean, strip, degrease, etch and remove efflorescence from concrete. Many of the cleaners are safe for the environment and biodegradable. Creating beautiful concrete means using amazing decorative concrete restoration products, such as the ORIGINAL Solid Color Stain (image). NewLook is known for its innovative stains used to make ugly concrete look brand spanking new! 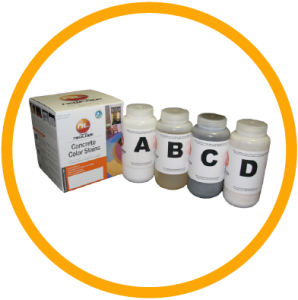 The latest innovations from NewLook Labs, Endura Solid Stain & Endura Faux Fusion are highly durable and easy to use, single component concrete stains. 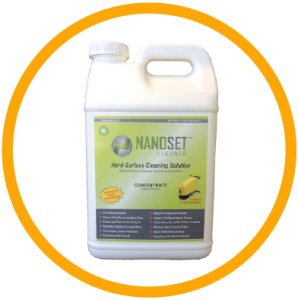 Take your architectural and commercial concrete to the next level with the NanoSet™ Concrete Polishing System. Our revolutionary concrete polishing system of densifiers, sealers, cleaners and nano-pigment colorants leverages all the sustainable advantages of polished concrete flooring. The design versatility of the NanoSet™ Concrete Polishing System gives your customers the economical, low-maintenance, high-performance solution needed and delivers it faster, better and greener. It is unmatched in durability and reliability. And it can help you achieve phenomenal results more quickly for either new or existing concrete. Our user-friendly system allows you to achieve a broad range of aesthetically appealing options for polished concrete. It competes with the most economical concrete coatings in price and rivals the most expensive floor coverings in aesthetics. Unpolished concrete can also be an excellent, hard-working floor with it’s own unique appearance. 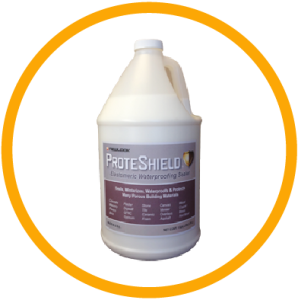 When enhanced with our NanoSet™ technology, it becomes more durable, stain-resistant, and easier to maintain. Not only can NanoSet technology be used to create brilliant polished concrete during the off-season, but it’s ideal for winterizing concrete. Use the NanoSet Densifier NS to rescue soft and damaged concrete or strengthen new and existing concrete before winter’s freeze-thaw cycles damage the substrate with concrete spalling or scaling problems. Stop the destruction of concrete and give it that polished finish with NewLook’s extensive line of sealers & coatings. Fortify concrete and prevent cracks for masonry, concrete and bricks with DriveHard & DriveHard Pro. NewLook’s diverse group of sealers work with concrete to prevent efflorescence, lock out water, prevent spalling and protect surfaces from graffiti to just name a few.